Cormac joined Beaufort Investment as an Investment Analyst in 2018 and his research remit covers Fixed Income, European and Emerging Market Equity research. Prior to joining Beaufort, Cormac worked in Fintech for almost two years building software to optimise the investment processes of active investment managers. Prior to Fintech, he was an Analyst at SECOR Asset Management for two and a half years, managing the multi-asset investments of pension fund clients in London and New York. 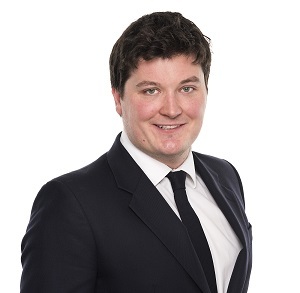 Cormac has a degree in Economics & Investment Analysis from Trinity College Dublin, is IMC qualified, an Associate CISI member and planning to qualify as a Chartered Alternative Investment Analyst. Outside of work, Cormac enjoys skiing, rugby and travel.